How to Become a Super Soldier. It's a good question. For Captain America, the World's First Super Soldier, in the Marvel Comic and Cinema Universe, it took experimental drugs. That's not great. And he's by no means the first Superhero. That title went to Superman - and an alien. But a character funnily enough that was inspired by real life strongman and super soldier - Alexander Zass. Study the photos below. 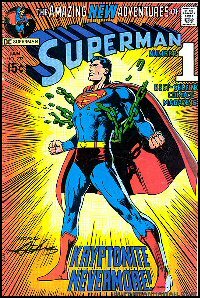 The first is an Iconic image of the ultimate Superhero – Superman, breaking chains across his chest with his extraordinary might. Beneath you’ll see two more photos – they are of a man known as the Amazing Samson – and he’s doing the same thing Superman is, except this guy isn’t a comic book character – he’s the “Father of Isometrics” and he could break chains across his chest, lift a horse over head and bend steel bars, and he developed this extraordinary strength without moving a muscle. The Amazing Samson was born Alexander Zass in Vilna, Poland but spent most of his youth in Russia back in 1888, and he lead one of the most extraordinary lives of any physical culturist, developing his superhuman strength to break the bars of his prison and escape to freedom, but I’m getting a head of myself. 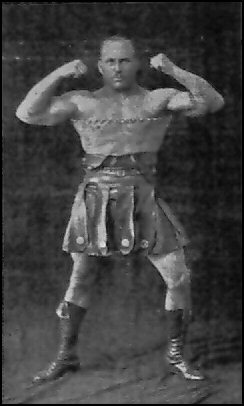 Like many of the great strongmen of his time, Zass was first introduced to physical culture through the circus, witnessing with astonishment the incredible abilities of the strongmen performing. Enthusiastically he began training as many young men do – climbing trees and running around carrying heavy objects –not exactly scientific. However he later got to train with some of Russia’s greatest strongmen including Krelov, Anokhin, and Demetrioff. When he wasn’t training with them however he practiced bending and breaking branches and sticks to develop his grips strength – and it was during this phase he discovered the importance of tension and the beginnings of isometrics (a key aspect of Russian training ever since). He believed such an approach superior to the use of weights in developing strength. But the greatest developments of his training, physique and strength occurred in the isolation of an Austrian jail cell, when he was taken prisoner during World War 1. It was here in this cell that Zass transformed himself into a Super Soldier. With no weights or equipment, Zass diligently practised his maximum tension isometric strength training against the bars of his cell and the chains that bound him. The results were nothing short of spectacular. In confinement without any exercise equipment and recuperating from injuries sustained in his capture that doctors feared would leave him crippled, Zass began to lose the muscle he had, his strength and vitality – but when he began performing isometrics against the resistance of his restraints and the bars that kept him prisoner he not only regained his physique but exceeded all previous levels of muscularity and strength. In fact it was the knowledge he gained here in a dank prison cell that transformed his body and developed his superhuman strength. It became the foundation for the very first published Isometric training system, based on pulling on chains of various lengths. Zass developed his spectacular physique, including a wide powerful chest and his exceptional strength using isometrics.Today, Isometrics are still a key aspect of Special Forces Training. How to Become a Super Soldier Today - No Equipment Needed. Those serving in the Special Forces are men and women. Like you and me. No special powers. Just a will and a mindset that is centuries old and can be found in every elite fighting force from the Spartans at the battle of Thermopylae, to the Samurai of feudal Japan. I wanted to know how to develop THAT MINDSET. I wanted to know the secret behind their training techniques that would develop that body, the unstoppable, strong, fit, enduring, injury and pain resistant physique of the ultimate action hero. I wanted to know what needs to happen to go past the point where everyone else quits. That right there is the key to the incredible abilities of the special forces. They keep going past the point where everyone else quits. Real world conflict doesn't actually require much physical ability beyond running. You don't even have to be a fast runner, just faster than the slowest guy with you. Because when faced with violence you should run. Don't be last and you'll likely survive. The armed forces however don't have that luxury. They have to stand and fight. In terms of personal combat most fights are over very very quickly. I'm not talking about the social interactions the ego driven pub flight and brawl...they'll go on till someone is too tired to hold up their hands. That's sport in many ways. A real fight, real violence, 30 seconds, maybe a minute tops. Then someone's dead, dying or crippled. Hopefully, with the right training that isn't you. But the Special Forces do not deal with single conflict. They dealt with long term military engagement. They needed endurance for long marches with heavy equipment. They need to maintain muscle strength without fatigue for prolonged periods of time in total stillness. They need to be able to carry a fellow comrade in arms, with both their gear on. They need to be resistant to injury. This requires strength, physical endurance stamina, and flexibility. This is why the Special Forces get fit. And to enforce a mindset of never giving up. It's the same as every top athlete. You build the body to serve your goals, to further the mind. As a martial artist I do the same. As a warrior I do the same. I have been very fortunate to train with the best special forces teams and members in the world. They've shared with me their strength and conditioning secrets and I've since taught them to other groups. Now I'd like to teach them to you.